A loan of $2,000 helped to pay for two tonnes of potatoes for selling. Emma lives in Akhuryan village of Shirak region, which was affected by the devastating earthquake in 1988. People of Shirak region have been largely affected by the earthquake and most are still struggling to survive. Locals here are mostly involved in cattle breeding and some land cultivation. Emma lives with her son and daughter and is involved in land cultivation. She cultivates wheat and potatoes and sells the gathered harvest locally. As agriculture is the main source of Emma's income, she would like to expand her business. 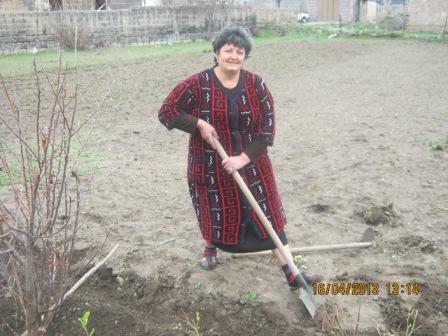 She has applied to SEF International for the loan to purchase two tonnes of potatoes for selling. She plans to keep it and sell during the winter at good prices. The loan is important for Emma to gather income and be able to provide better life for her children.